i don't think i've appreciated spring ever as much as i do this year. i've always enjoyed it, but it reeeeeally hit me when we were out for a walk about a month ago and i felt like all my senses were awoken after a 4-6 month gloomy dark slumber. the smells! the sounds! the colors! the warmth! i just looooove it. its only gotten better from there. aaaaand its only mid-april! keep the springy goodness coming, seattle! i basically skipped down the street and rolled around in the grass crying on this particular afternoon. not really, but i was just in absolute awe of all the glorious pink petals everywhere. this has been the most prime day so far, i think april 13, 2016 to be exact. a guy came out of his jolly pink petal-ed house with his cute little bicycle and he could tell i was freaking out about his amazing cherry blossom situation. he seemed pretty proud of himself. sunsets lately aren't too shabby, either. i think pale pink and green make a very nice pair. you liiike? also, i aaalmost love the fallen cherry blossoms more than snow. almost. 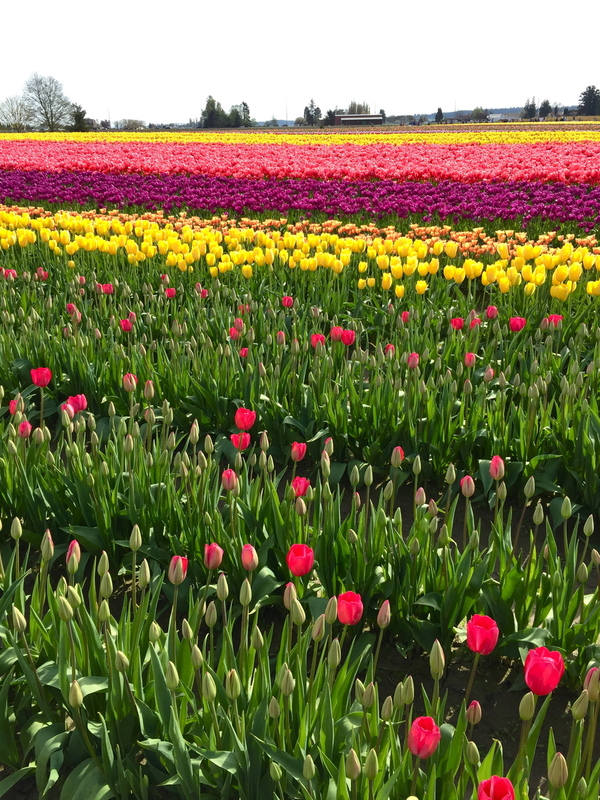 pete and i stopped at the skagit tulip fields this sunday on our way home from lopez! it was my first time to the festival in all my almost ten years of living up in these parts! i couldn't believe it! because...i love flowers, i love to take pictures, and i love to take pictures of flowers. also, easiest blog post ever! these photos require essentially zero editing. the colors are amazing. just note all the people hanging out/clinging to the end of every single row. 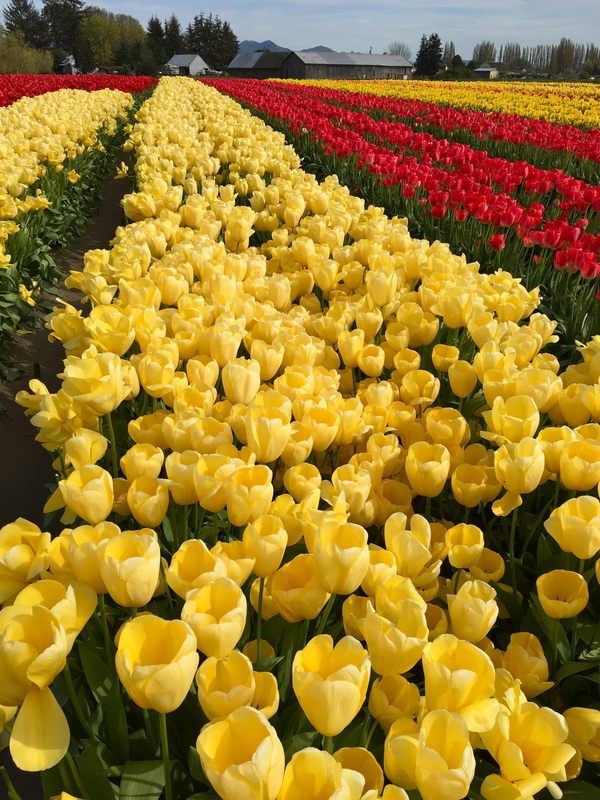 you're not really allowed to walk in the rows, and there are some tulip nazis monitoring to make sure nobody is even slightly infiltrating the rows. like there's some harsh yelling going on in them tulip fields. but occasionally you'll see some lucky someone make it out into the row for a quick sneaky pic without getting yelled at. see mickey mouse kid below. 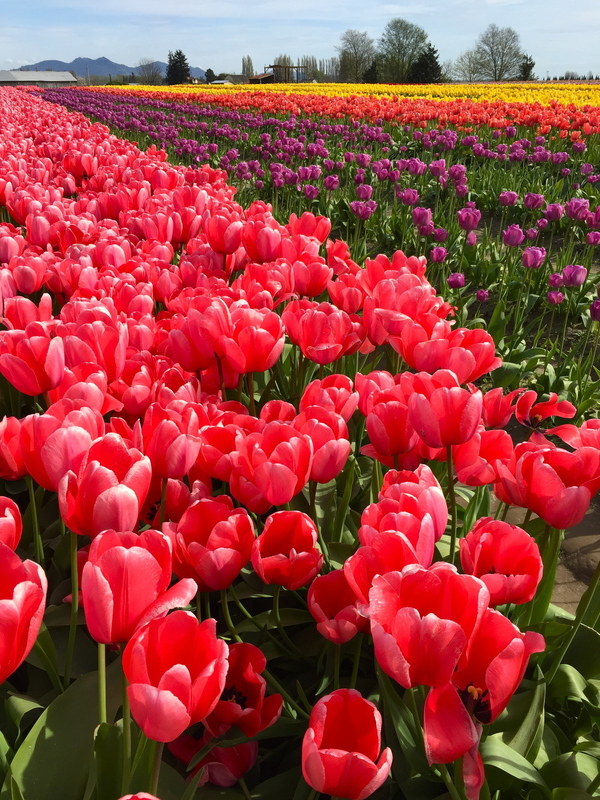 lovely tulip fields! how i wish i could frolic in you! next time, i hope this is me in the amsterdam tulip fields. oh yahhh!